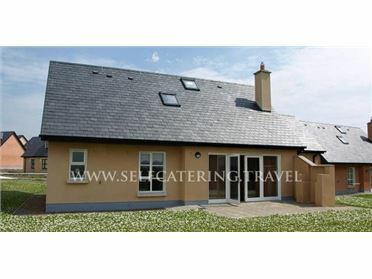 Cois TrÃ¡ Homes are deluxe self catering accommodation overlooking the beach front of the scenic village of Ventry. Ventry is located less than a ten minute drive from the world famous town of Dingle and is the perfect location from which to explore the picturesque Dingle Peninsula and the Slea Head Drive. The 2.5 kilometre beach is on your doorstep which is perfect for swimming and for water sports. Day trips to the Blasket Islands run daily from May to August from Ventry Pier. Quinn's Ventry Inn, Long's shop and the Skipper Restaurant are all less than a one minute stroll from the property. These purpose built three bedroom houses were constructed in 2012 and are modern, comfortable and well equipped. The living room, dining room and kitchen are open plan and are very spacious with spectacular views over Ventry Bay. The kitchen has dishwasher, microwave, fridge-freezer, cooking hob, grill and oven, clothes washer and drier. The sitting room has an open fire, TV (saorview) and DVD player. There are two double bedrooms one of which is en suite as well as a twin bedroom which is also en suite..